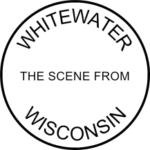 In Whitewater, one often hears about the importance of single-family homes. Policymakers insist that the city should have more such homes. Strategies for increasing single-family homeownership often involve either restricting or inhibiting rental home purchases, or publicly subsidizing owner-occupied housing starts. Angry homeowners on Tuesday night challenged the authority of Mount Pleasant to take their property for the Foxconn project, with some vowing to press the fight against the village on the issue. At a public hearing attended by more than 70 people, about a dozen residents whose homes may be taken by eminent domain laid into village officials for the way they are seeking to amass some 2,800 acres of land for Foxconn’s planned electronics factory and associated development. Chief among their complaints: being offered 1.4 times the market value of their small parcels while large landowners got several times the going rate for their property, and the village’s proposal to declare the 2,800-acre Foxconn district a blighted area. But Alan Marcuvitz, an attorney for the village, said the village is properly using a section of state law that allows an area to be declared blighted even though not a single property within it is blight-ridden. Those in Whitewater touting Foxconn are backing a project that threatens the single-family homes of those near the plant, destroying the houses those residents have built and enjoyed, and leaving them with far less by percentage than major landowners. See also 10 Key Articles About Foxconn, Foxconn Devours Tens of Millions from State’s Road Repair Budget, and The Man Behind the Foxconn Project.